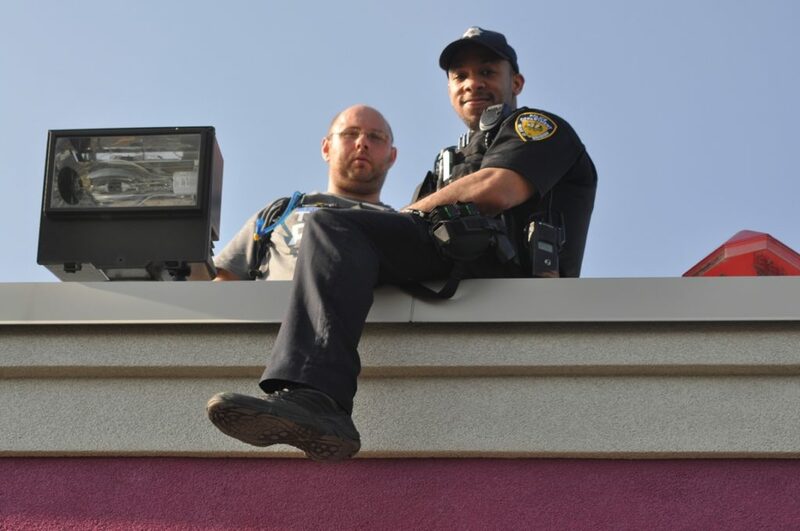 Local police officers will be prowling Dunkin’ Donut rooftops Friday morning. But instead of being on the lookout for bad guys, these coppers will be raising money for Special Olympics Illinois. For the 16th year in a row, police will be atop almost 300 Dunkin’ Donut shops including locations in Alsip, Bridgeview, Brookfield, Burbank, Calumet City, Calumet Park, Chicago Heights, Country Club Hills, Crestwood, Countryside, East Hazel Crest, Forest View, Frankfort, Harvey, Hodgkins, Hickory Hills, Homewood, Matteson, Midlothian, Mokena, McCook, Lansing, Lemont, Lockport, Oak Lawn, Palos Heights and Palos Park on Friday from 5 a.m. to 2 p.m.
Officers hope to top last year’s donation total of more than $700,000 from 272 rooftops as they go to new heights to raise awareness and donations for the Law Enforcement Torch Run to benefit Special Olympics Illinois. In return for the police officers doing time at their stores, Dunkin’ Donuts will donate $15,000 to the Torch Run fund. Everyone who visits a Cop on a Rooftop store and makes a donation to the Torch Run will receive a free doughnut coupon. Individuals who donate at least $10 will receive a Law Enforcement Torch Run travel mug (while supplies last) and a coupon for a free medium coffee. Other items, such as Torch Run T-shirts and hats, will be sold for various donation amounts, and other activities will vary by Dunkin’ Donuts location. Dunkin’ Donuts also has created a special glazed red and white donut ring depicting Special Olympics Illinois colors. The donut, called “The Champion,” will be available at Dunkin’ Donuts locations in Chicago and suburbs May 18. A list of all participating locations is at www.soill.org. Matt Hackney will open Smallcakes Cupcakery & Creamery on Saturday, March 25 in Orland Park. Another specialty baker is coming this week to Orland Park when Smallcakes Cupcakery & Creamery holds its soft opening on Saturday in the Orland Park Crossing shopping center. 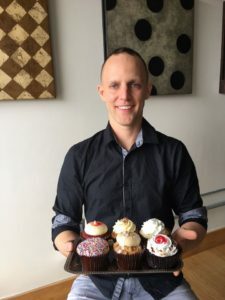 For owner Matt Hackney, making the move after 10 years as a commercial banker to cupcake baker was not as hard as it might seem. “I always wanted to open my own business,” he said. “I gained a lot of experience helping others and about a year ago I started looking for the right business. In addition, the shop will have ice cream, ice cream infused cupcake, minicakes and Italian-style hot chocolate. There will even be pupcakes so the family dog can get a treat. Coffee will be added to the menu shortly, Hackney said. Customers can stay on top of changes and cupcake flavors at the shop’s Facebook page, Smallcakes: A Cupcakery & Creamery – Orland Park. His store at 14225 S. 95th Avenue will have tables for customers inside and weather-permitting outside. Hackney will be the driving force at Smallcakes but he will get help from his wife and father-in-law and additional family members he can call on when needed. “I hired four employees from outside the family,” he said. The company was founded by Jeff Martin in 2008 with 10 flavors and now has more than 250 locations worldwide. There are eight stores open in Illinois with two coming. 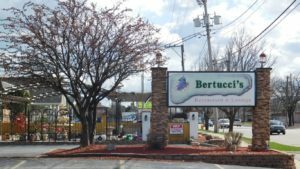 Orland shop will be the first in the south suburbs. The Orland store will be open from 10 a.m. to 8 p.m. Monday to Saturday and from 10 a.m. to 5 p.m. on Sunday. Hackney said a grand opening will take place sometime in early April. Ross Dress for Less, the nation’s largest off-price apparel and home fashion chain with more than 1,100 stores, expanded its presence in the Chicago area with the grand opening Saturday, March 4, of three new stores in the southern suburbs. New stores opened at 17910 S. Halsted St. in Homewood, at 1101 Fifth Avenue in North Hammond, Ind., and 1470 N. Larkin in Joliet. The retailer opened 20 new stores nationwide on March 4. The new stores bring the total number of Ross Dress for Less locations to more than 40 in the Chicago area. The California-based chain only arrived in the area a few years ago with the opening of its first Illinois store in Orland Park. Hours at the new stores are 9:30 a.m. to 10 p.m. Monday to Thursday, from 9 a.m. to 10:30 p.m. Friday and Saturday and from 9:30 a.m. to 9:30 p.m. Sunday. Troubled electronics retailer RadioShack has been holding a store closing sale at its Frankfort location in the Frankfort Crossing plaza at U.S. 30 and LaGrange Road. The Frankfort location is one of nine stores in Illinois being closed and the only one in the south suburbs. Other locations are in Willowbrook and LaGrange. Liquidation sales at the stores are expected to be completed by March 28. The company filed for Chapter 11 bankruptcy protection last week, its second such filing in two years. The company is looking to close at least a third of its remaining locations and possibly turn over some to Sprint. 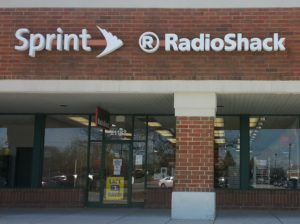 As many as 365 locations could be transferred to Sprint, which operates stores inside some RadioShack stores, the company said in court filings. Among that second group are stores in Chicago’s McKinley Park neighborhoods. RadioShack said it is still considering its options for the retailer’s remaining 1,000 stores. Seven Illinois locations are among 138 JCPenney stores closing nationwide, the retailer announced on Friday. Last month, the Texas-based company announced it was closing a large number of brick-and-mortar stores and several distribution centers across the country to better compete in a changing marketplace where online shopping has become common. “We are pleased with the double digit growth of jcpenney.com and how leveraging our brick and mortar locations is enabling us to offset the last-mile delivery cost,” the company said in a statement in February. “We believe closing stores will also allow us to adjust our business to effectively compete against the growing threat of online retailers,” CEO Marvin R. Ellison said. A full timetable for closings has not been released, but JCPenney has said liquidation will begin April 17 and most stores will shut their doors in June. The closings will affect a reported 5,000 jobs nationwide. The closings will not affect stores in Calumet City, Bourbonnais, Orland Park, North Riverside, Joliet, Matteson, Mokena and Ford City Mall.